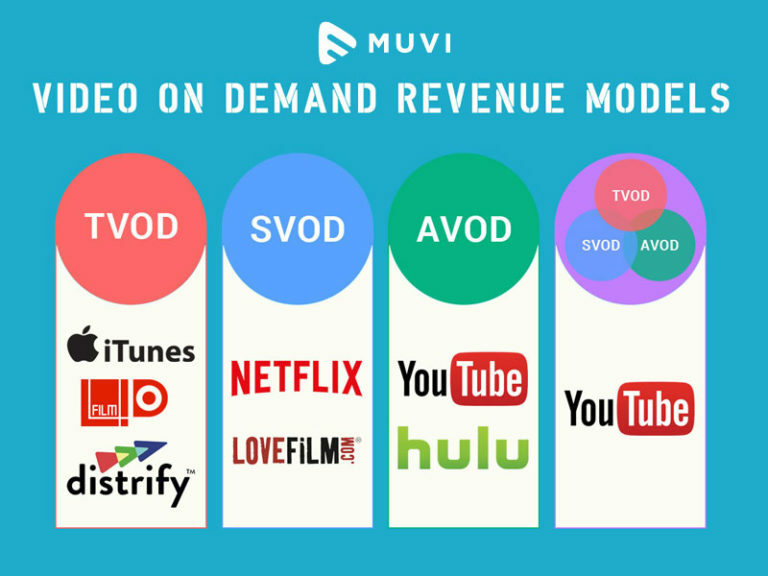 Ever since it came into the play, Muvi has been enabling video content owners to launch their own live or on-demand or scheduled OTT TV channels, instantly, in their own style. FinancesOnline, one of the finest business review websites, has recently acknowledged Muvi’s contribution in the video streaming industry and has provided a detailed review of Muvi’s offerings. Muvi takes immense pleasure in announcing that FinancesOnline has not even provided a fair review and ratings to the Muvi platform but has also awarded two significant awards in the content management category. Muvi takes pride in telling you all that our platform has won the Great User Experience 2016 Award and the Rising Star 2016 Award by the FinancesOnline review platform. 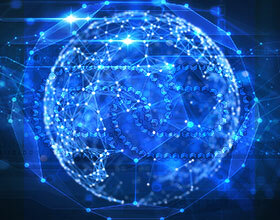 FinancesOnline has reviewed several websites, software and platforms on their website and consists of an expert panel in the video streaming and software space. 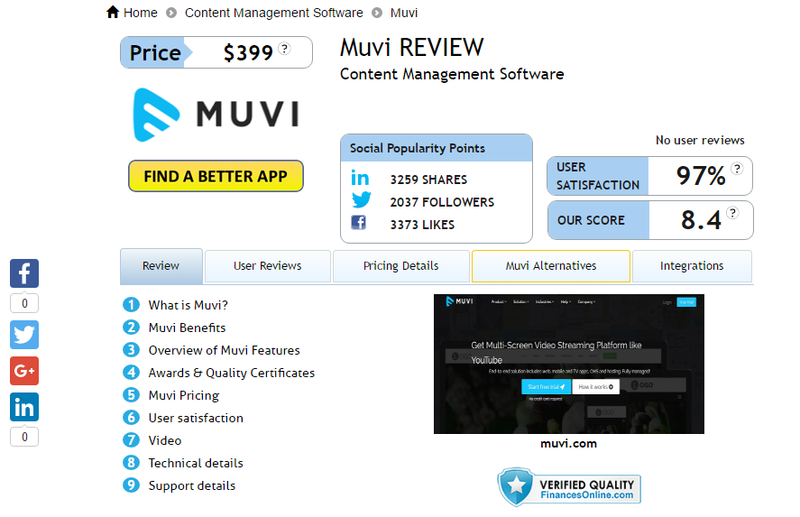 The experts review all platforms finely and provide ratings considering a lot of factors such as the platform performance, user ratings, user satisfaction levels, social popularity, cost and various other parameters, which Muvi has exceptionally stood out great. The Great User Experience Award scored by Muvi states that the user experience level at the Muvi platform is high and we have a great number of satisfied customers. This award is given to the platforms that have high number of satisfied users and have scored great amount of positive ratings. The Rising Star Award states that within a very short span of existence, Muvi has managed to score a great deal of success in providing out-of-the-box solutions and offerings. This award is given to platforms that show a tremendous amount of growth and success in terms of satisfied customers and profitability within a very short time from their inception. 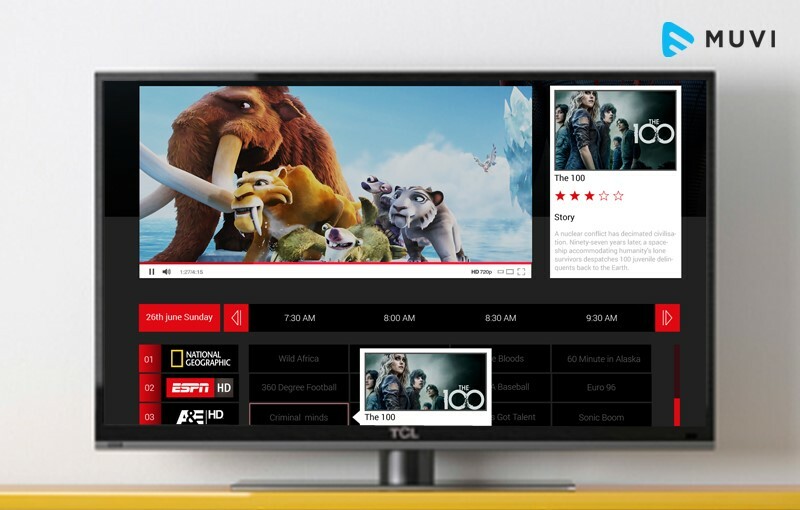 The FinancesOnline reviewers were impressed with Muvi’s assorted range of interesting features allowing its customers to launch live, on-demand or scheduled TV channels instantly, across devices and platforms, absolutely white-labelled. Features such as Muvi Kart, Muvi Playout, readymade native apps for all devices including TV and media boxes and heavy customization facilities are something that impressed them the most. Overwhelmed by the comments, reviews and awards received, Muvi is all charged up to provide even better performance and facilities to its customers, excelling in each area of video streaming business. Start your 14 Days FREE trial and become a Muvi Member NOW! !